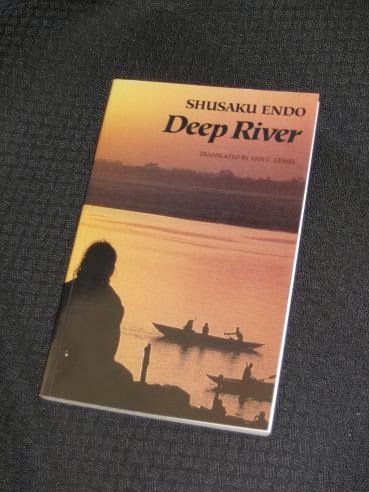 Deep River (translated by Van C. Gessel, published by New Directions) is centred on a package tour to India by a group of Japanese tourists in October 1984 (the date is significant…). Over the course of just over two-hundred pages, we meet many people, all with different motivations for making the trip abroad. The story starts off slowly as we learn about the background of the main characters and their reasons for joining the tour. While interesting in its way, I was a little impatient at times, with the writer taking half the book to get us to India. It is important though, as these first chapters set up everything that happens when we arrive. Despite her affluence and attractive appearance, she’s trapped in an empty life, seeing herself in the tragic heroine of a French novel she reads, Thérèse Desqueyroux. Her fate is linked with that of an aspiring catholic priest Otsu, her former lover, who she attempted to seduce and steal from God during her university years. 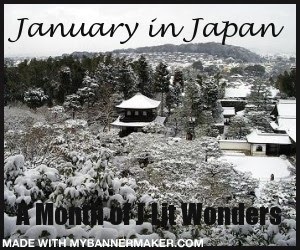 Otsu, while absent for long periods of the novel, is another important figure. He’s a Japanese Christian with dangerous heretical opinions, views which prevent him from ever progressing in his quest to become a priest. Pantheistic and inclusive, he’s a Christian of the east, unable to accept the strict doctrines of the Catholic church. In many ways, it’s inevitable that he’ll end up in India. The tour group, of course, is no homogeneous unit, but a small microcosm of society. It consists of many people with different reasons for making the trip, each of whom sees India in their own way. In addition to the main characters, we also have a young married couple who loathe the dirt and noise of the country – and a tour guide who loves the country and hates the people he has in tow… The tourists are chance fellow travellers, people with little in common thrown together for a short time – but isn’t that exactly what life is? That could just about be a fitting epitaph for a great book. I read this book almost on accident. I think it really should be shelved in the Christian Fiction section, where I would never look. I think someone on-line recommended a different book by Endo, but this was the one I found at my local used book shop. I loved it. I was moved deeply by it almost to the point of going back to church, or something equivalent to church. I've read another by Endo, The Samurai, which was just as Christian and just as good, and will certainly read more. He is the best writing on the question of faith that I have read. But that question aside, he offers plenty for people who are not interested in the question of faith, too. Strange cover – it looks like the cover of some seventies pamphlet advocating meditation. I must try read Silence again. I don't think I finished it the first time I read it (around thirty years ago). Maybe now is the time..
Séamus – I agree, but you certainly shouldn't judge this book by its cover 😉 'Silence', as mentioned above, is a great book – definitely worth another try. Hi Mr.Tony, I have been reading your blog for quite a while now and I am astounded by the quality and quantity of literature you read. You really are an inspiration! More so for me as I edit my college magazine 'Beyond the Bestsellers', which reviews books- translated and untranslated- from Indian regional languages. To all my young and ambitious reviewers I suggest your blog, a really great place for quality literature reviews. Thanks for all the distinct reviews you put up! As for today's review, its brilliant, as usual.To the point. However I found the sentence “Those who stay by the river, giving up on the usual tours, get to catch glimpses of the true India. There are weddings, beggars, caste discussions and filth… ” ,rather hurtful. India, against common opinion, is far more than that, Mr. Tony, not just big fat weddings and filth. Anyway, overall, you are the best! Thanks once again. Cheers! With the comment above, perhaps the word true was ill chosen ('true' inside quotation marks would have been better…), and it's meant more to represent the contrast between the sanitised view most of the tourists get (air-conditioned bus tours to the Taj Mahal etc) as opposed to the street-level realities the main characters experience. Nice review as usual. My favourite Endo books are Scandal and Wonderful Fool. Scandal seems underrated to me, don't here a lot of talk about that one, but I loved that one. Jeff – No, it's not one that gets a lot of discussion, definitely one I'd like to try though (as is 'Wonderful Fool'…).